My daughter is really into Sesame Street right now. Her favorite, is of course, Elmo. She screams “Mo” every time she sees him. 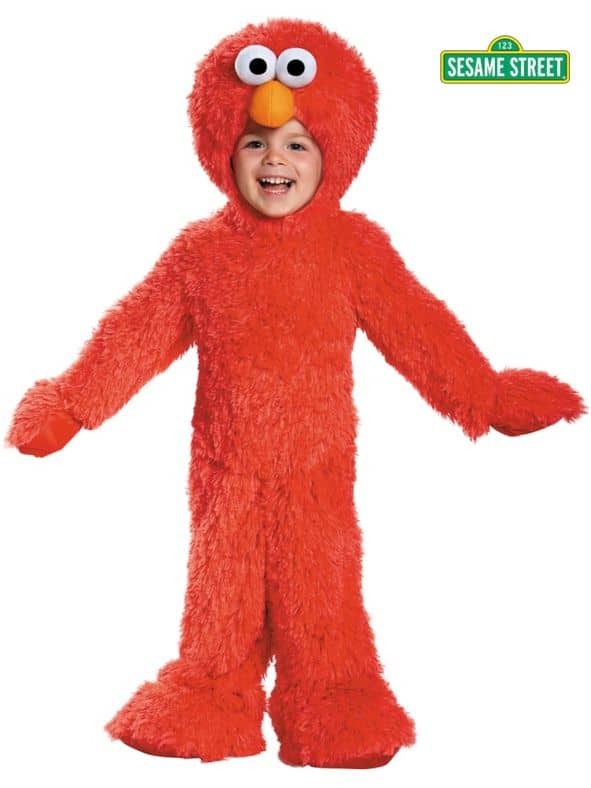 When I saw that Wholesale Halloween Costumes had an Elmo costume, I knew it would be the one. It is a bodysuit that is very plush and soft. It comes with 2 booties to go over her shoes and her hands can be taken out of the mittens so that it is easier for her to grab candy from the bowls. This was the best picture I could get with her wearing the costume. She kept wanting to look at herself in the mirror and shout “Mo” every time she saw herself. She was not a big fan of the hat but hopefully, she will get used to it before Halloween. She just doesn’t like anything on her head. I can’t get her to wear a bow to save my life. I do like that the costume is plush and will keep her warm on an October night. The only thing I don’t like about the costume is the red fur comes off pretty easily and gets everywhere. It was all over her when I took off the costume and it got all over the carpet, too. Since she will only be wearing it one night, it is not that big of a deal. You can check out Wholesale Halloween Costumes on Twitter or check out their website to see what all they have to offer for the whole family. They even have party supplies! 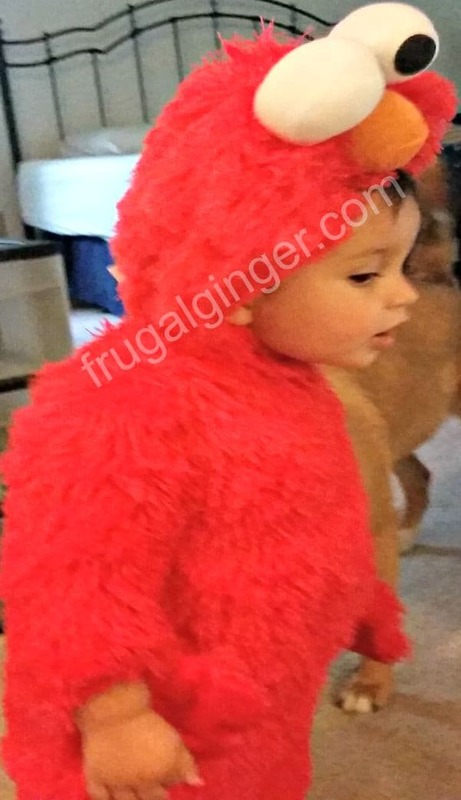 You can also check out my post for frugal Halloween party ideas, too. What is your child going to be this year? I love seeing all the pictures.